The football gods sometimes have a way of making themselves known when you least expect them. Perhaps this was why the Western Sydney Wanderers’ fairytale did not have the storybook conclusion. It is almost fitting the A-League new boys were not allowed to have it all their own way in their debut season, with the Central Coast Mariners instead seizing the opportunity to bury their own grand final demons. Now Wanderers players, coaches and fans have all been handed a stark reminder – success doesn’t come that easy. That’s how it should be. You need the heartbreak and pain first so that the good times taste sweeter. No doubt the city of Gosford can vouch for that now. To have come so far in such a short amount of time, however, is still a success in itself, and there is no doubt the rise of Western Sydney was the highlight of season 2013-12. There were others. Alessandro Del Piero, for one. But for some, the sooner version eight of the A-League is wiped from the memory banks, the better. Let’s look back. This is number one with a bullet. The A-League itself is almost unrecognisable to the competition that, this time last year, was marred by ugly dramas at Gold Coast United and Newcastle Jets. One season later and all the key metrics are up. It’s never looked this good, and we can actually see the growth before our eyes. It’s exciting, and it’s what season eight will be remembered for. Another transformation – this one looked just as unlikely. When Jim Magilton was moved on and Harry Kewell left the country, Victory looked stuffed. 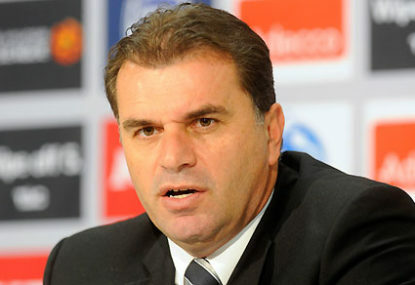 Enter Ange Postecoglou. The successful pursuit of his signature now has the A-League’s biggest club poised for long-term success. Marco Rojas is leaving but you can count on Ange to make sure someone fills his shoes, and that Melbourne Victory will be title challengers next time around. He’s had his critics but the Brisbane Roar manager is still standing and deserves credit for that. Whether the team’s emergence from the doldrums is all because of him or because the two-time champions suddenly decided to pull their collective fingers out is not clear. But in 12 months he went from a stepping stone gig in the W-League to a caretaker position at the reigning champions, and turned that into a two-year contract and the opportunity of his career. If he’s capable, he can turn Brisbane into a powerhouse again. Relevant at long last, and thanks to one man. Or rather, thanks to the men who brought that one man, Alessandro Del Piero, to Australia. That was a masterstroke that has positioned the Sky Blues as the LA Galaxy of the A-League. You’re doing something right when cheap Sydney knockoff jerseys start popping up across the globe. But you’ve only truly made it when there’s silverware in the cabinet. That’s next on the agenda. Central Coast can give up the charade. The ghosts have been banished – they’ve finally won a toilet seat of their own and in extraordinary circumstances to boot. They deserve it – the A-League has never seen such a committed, professional club. The celebration of the grand final win said one thing, though – relief, because they had finally won the only trophy that really matters. Now that it’s done they can rip one star off their chest and move on. The unfortunate victim of a misguided decision of the Wellington Phoenix ownership to suddenly become the Barcelona of the Pacific. He is probably the best coach New Zealand has ever produced and maybe his time at the Phoenix was up, but he didn’t deserve to go in those circumstances and shouldn’t have had to deal with meddling from upstairs. What has Adelaide United become? Once the darling of Australian football, the Reds are now lurching from crisis to embarrassment and back again with worryingly low levels of self-awareness. Players are agitated, fans are restless and the owners need to change the way they do their business if it’s all going to be reversed. At first this looked like the season that Clive Palmer’s generation of young guns would take the A-League by storm. After all, there was a reason Gold Coast’s carcass was so furiously picked apart last year. Yet none of the GCU refugees have kicked on. Ben Halloran and James Brown had rough seasons, Daniel Bowles has fallen off the radar in Adelaide and Chris Harold didn’t play anywhere near as often as he should have in Perth. Only Zac Anderson has made strides, but even he’s not starting yet. There’s Adama Traore, too, who is probably the best left-back in the country – but it’ll take a fair bit of paper-shuffling before we see him in green and gold. Gary van Egmond’s revolution hasn’t happened and the Newcastle Herald was at pains to point this out when the season wrapped up. The Jets are still maddeningly inconsistent. The pieces are there, for sure, but in practice Newcastle were not up to scratch this term and deserved to finish where they did. A bad start to the next campaign would put ‘Dutchy’ under immense scrutiny. Another side that simply couldn’t string anything good together. John Aloisi has already wielded the axe but it was perhaps 12 months too late, because the red and whites went backwards in their third season in the competition. The next one has to be pitch perfect for this club to actually start going anywhere.